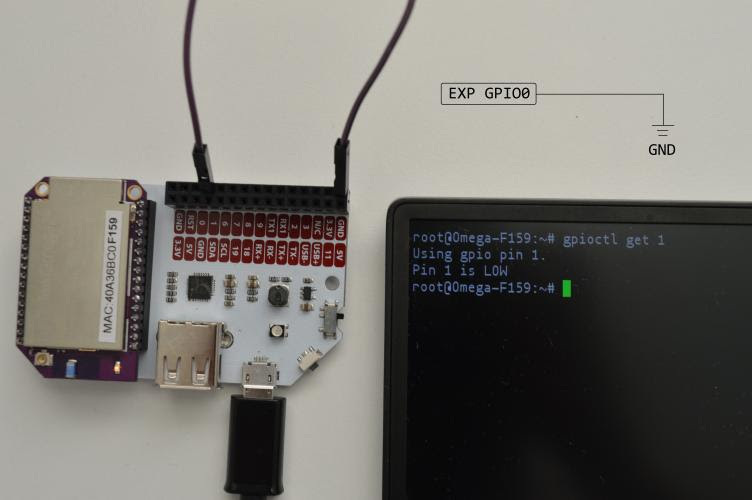 The Omega2 has twelve digital General-Purpose Input/Output pins (commonly referred to as GPIOs) that can be fully controlled by you, the user. 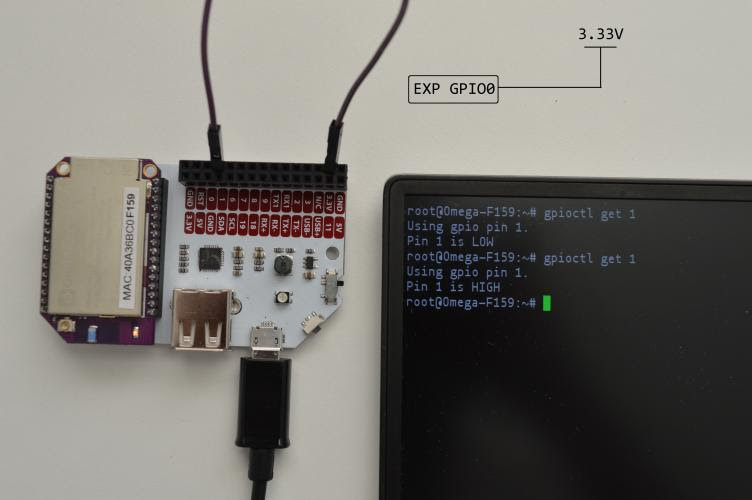 Your project may require the Omega to read sensors, signals, and other inputs attached to the GPIOs, so we’ve included the gpioctl program on the Omega to help make it easy! The Omega can read either HIGH (3.3V) or LOW (0V) signals. Let’s try this out with an Omega, an Expansion Dock, and a male-to-male jumper wire.